With all that camouflage, the next Explorer doesn't really look much different than the current one. It looks like it might not even be an all new model. Which would be pretty bad, since the current version came out in 2010! Back when Ford owned Volvo. So you would thing a brand new one based on a newer platform wouldn't be too much to ask. Which would also be used for a Lincoln version. Actually, the current Explorer is such a commercial hit, I would understand why Ford isn't in a rush to spend huge money on an all new one. They sold over 270 000 of them last year! Up from 248 000 in 2016. The all new, more modern Edge sold "only" 142 000 units last year. So really, why invest in an all new one? Meanwhile, try and see for yourself if you can tell how new the next Explorer will be. More pictures of that prototype HERE. This look like a new platform to me. A lot lower with a higher belt line. I would say there is some truth in the Ford-Lincoln FWD-RWD-AWD platform. I can see some differences. I think this is an all new one. No matter what kind of platform (car or truck) or what type of vehicle (CUV or SUV), the Explorer has always had the same boxy shape. I don’t think an all new one is going to break that mold. Vince, don't judge by the sheet metal you see here. This is a mule. 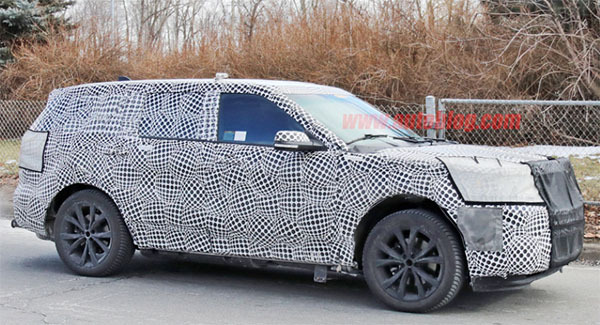 Remember when the current gen Explorer spy shots came out, and the sheet metal was from the Flex? People lost their minds then, over nothing. I hope the new Explorer takes a lot of the design from the current Range Rover Sport, the SUV that is still quite striking in looks! The new Explorer's slanted roof is very nice and a good sign that might be the case! I vote for test mule. 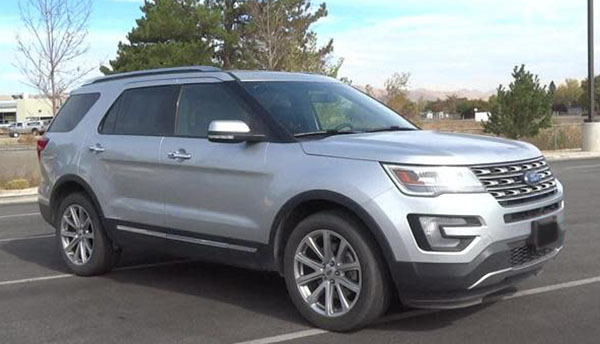 Either that or Ford is going to throw us all off and surprise us with a final model year limited run ST version of the current Explorer before it's replaced with the all new RWD based model.